For a taste of France without the hectic feel of Paris, Marseille is a great place to visit as part of a European cruise trip. 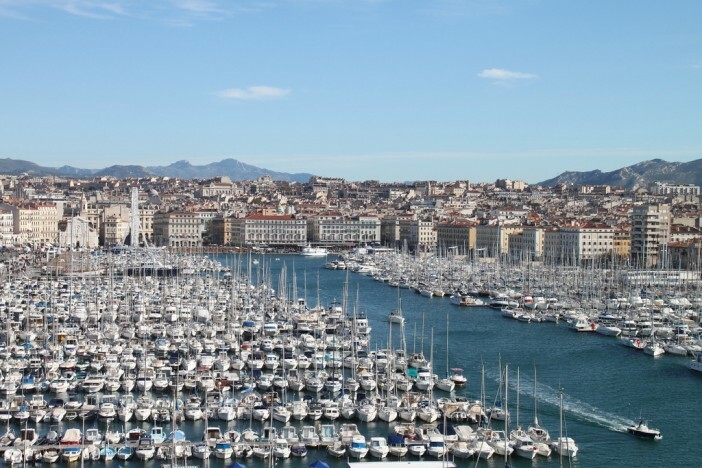 Many of our Mediterranean and Europe cruise deals include a visit to Marseille. To see the latest offers, check out our Europe cruise deals page. Marseille has, in the past, had a reputation for being a little rougher round the edges than places like Paris, but today it is very welcoming – a great alternative to the capital. In fact in 2013 it was named Europe’s Capital of Culture. France’s second city is home to around 850,000 people and is located centrally on the south coast, putting it in easy reach of Mediterranean Europe and Northern Africa. Make sure you visit Le Panier, one of the city’s most interesting neighbourhoods. In Greek times it was the city’s marketplace, hence the name. Nowadays it’s home to a number of artisan shops and terraced houses, and is about as authentic as it gets. Nearby there are several interesting museums around the courtyard of Centre de la Vieille Charité. For sun worshippers there are a range of beaches to choose from too – try the popular Plages des Catalans and Plage du Prado, both of which are good for families. And as you might expect in France, there is plenty of excellent cuisine to be found. Make sure you try some bouillabaisse, the region’s signature dish – a yellow fish stew. For all the best deals on cruises visiting Marseille, look no further than our Europe cruise deals page. You can also use the search tool to find deals not featured on the page. We update our cruise deals almost daily, so make sure you check back later for the latest. Your trip begins with a flight from Australia. Your cruise sets off from Amsterdam and visits Zeebrugge, Lisbon, Cadiz, Gibraltar, Malaga, Marseille, Livorno and Rome, before your flight back to Australia. This trip includes a hotel stay in Amsterdam. After a flight from Australia, you’ll embark on a cruise from Rome. From there you’ll stop at Chania (Crete), Mykonos, Ephesus, Santorini, Athens, Katakolon, Rome, Naples, Barcelona, Palma de Mallorca, Marseille, Florence/Pisa and back to Rome before your return flight. This trip includes a hotel stay at Rome. Following your flight into Rome, your cruise visits Naples, Barcelona, Palma de Mallorca, Marseille, La Spezia, Rome, Messina, Mykonos, Ephesus, Rhodes, Santorini, Athens and back to Rome. You’ll then fly back to Australia.